This summer, Movies Off the Wall goes West with a series of films inspired by the Crocker’s three summer exhibitions. 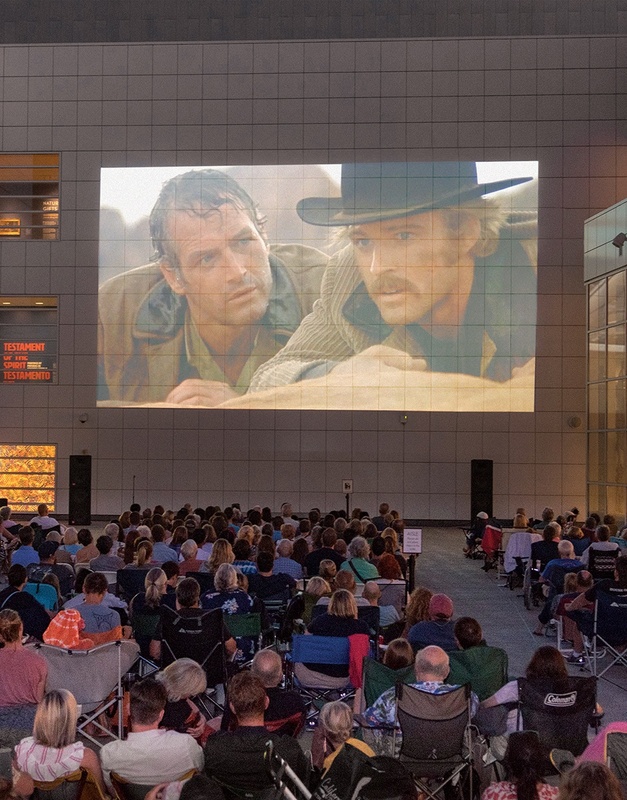 Movies are screened open air in the Museum’s outdoor courtyard, against the Teel Family Pavilion’s iconic architecture. Arrive early for trivia and giveaways, and enjoy dinner and drinks at the Crocker Cafe by Supper Club. For the best seat in the house, bring your own chair. Or, members can rent a cabana with advance registration,which includes admission, seating for six, gourmet popcorn, and two bottles of wine for $200. Click here to purchase a Members Series Pass now! Director Greta Gerwig’s “love letter to Sacramento,” (her hometown) tells the coming-of-age story of high school senior “Lady Bird” McPherson (Saoirse Ronan) against a backdrop of familiar locales. Nominated for five Oscars, including Best Picture, Best Actress, and Best Director, the film became the darling of movie critics in 2017and is a delight to watch with fellow Sacramentans in an iconic regional venue.